As we all know, the upcoming fixture against German giants Bayern Munich has an air of deja vu to it with the exact same fixture at the exact same stage of the competition happening last season. In that tie, Arsenal succumbed to a 3-1 defeat, but fought back valiantly in the second leg defeating the German club 2-0 at their home ground. Unfortunately that win wasn’t enough for progression, but to inflict defeat on a team that only experienced three losses in the whole of 2013 did have some merit. 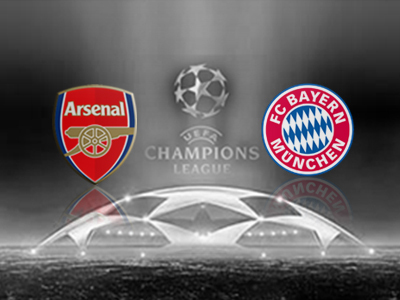 This time around, it is imperative Arsenal make sure their backs aren’t to the wall at the end of the first leg. The Gunners home form has been solid as of late being unbeaten in 13 matches, but taking into account away matches I would say our form has been mixed at best. The drubbing at the hands of Liverpool only a little over a week ago does raise concerns about defence, especially on the counter. The back-line will have to be at their absolute best to silence the likes of Gotze, Robben and Mandzukic. The same could be said of attack, which at times lacks bite as evidenced from the recent 0-0 draw with Manchester United. On the topic of Bayern’s possible line-up there is some respite however with both Shaqiri and more importantly Ribery missing the fixture through injury. While those absentees do help Arsenal’s cause, Bayern are still arguably the best football team on the planet right now and it will take a great performance to get the desired result. They are extremely strong on attack and are one of the hardest teams to break down. That could become even harder with Bastian Sweinsteiger in contention for a start. Looking at Arsenal, a host of players were rested in the recent FA Cup clash against Liverpool. Bacary Sagna, Tomas Rosicky and Jack Wilshere were rested completely, while Santi Cazorla, Olivier Giroud and Kieran Gibbs played minor roles. All these players are expected to slot straight back into the starting line-up. The most dubious selection looks to be that of Rosicky, who Wenger will likely look too over the Ox due to experience. In recent clashes, however, the Ox has easily been Arsenal’s best attacking weapon and his pace and driving runs link up well with Ozil’s strengths. Personally, I feel his inclusion is a must, particularly considering he has been a part of each of Arsenal’s last five goals. Overall, it will a tough task to beat a German club that still has yet to taste defeat in the Bundesliga this season. Arsenal have to be especially cautious of Arjen Robben who has scored six goals and registered four assists in the last seven matches. Gibbs will certainly have his hands full. On attack, I feel driving runs from midfield will be key. It will be difficult to break down a side like Bayern using Arsenal’s typical possession based approach, that is why I prefer to see the Ox in the starting line-up. It will be tough, but it certainly is possible if the Gunners fire. COYG!